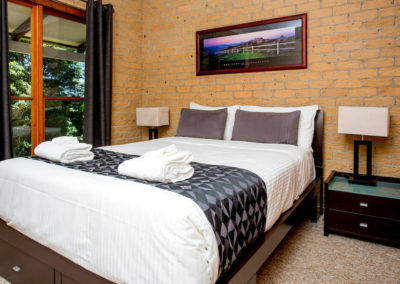 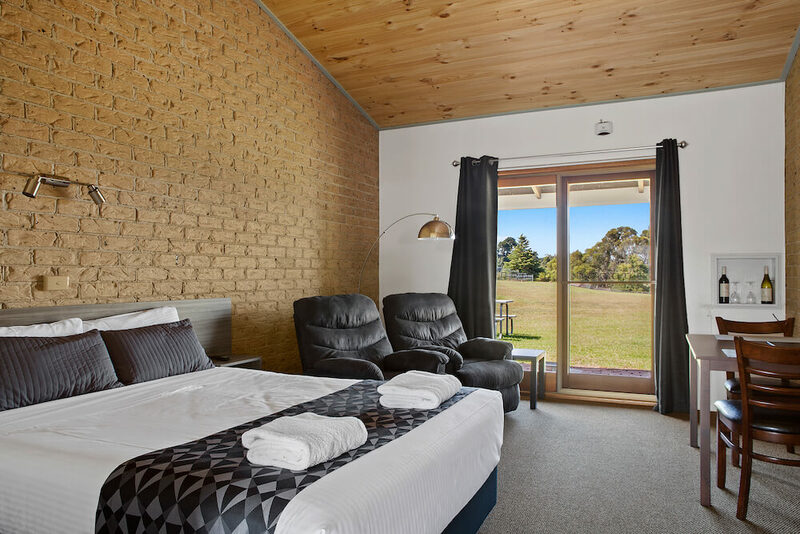 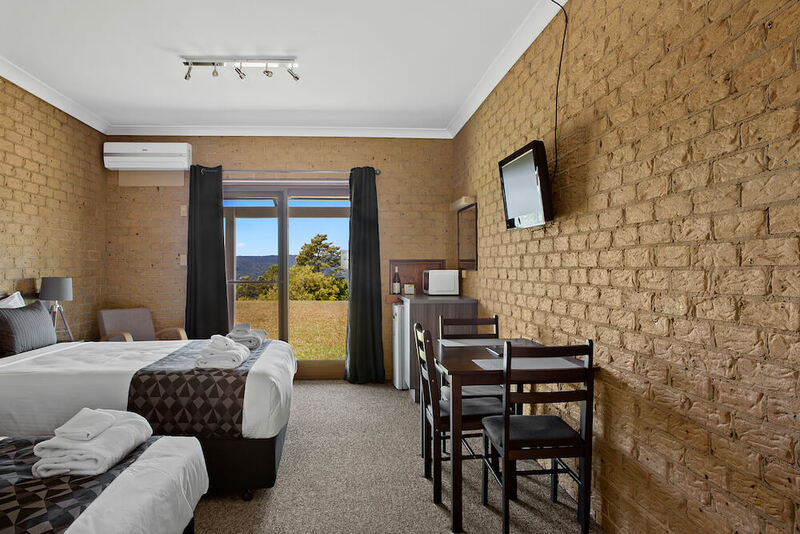 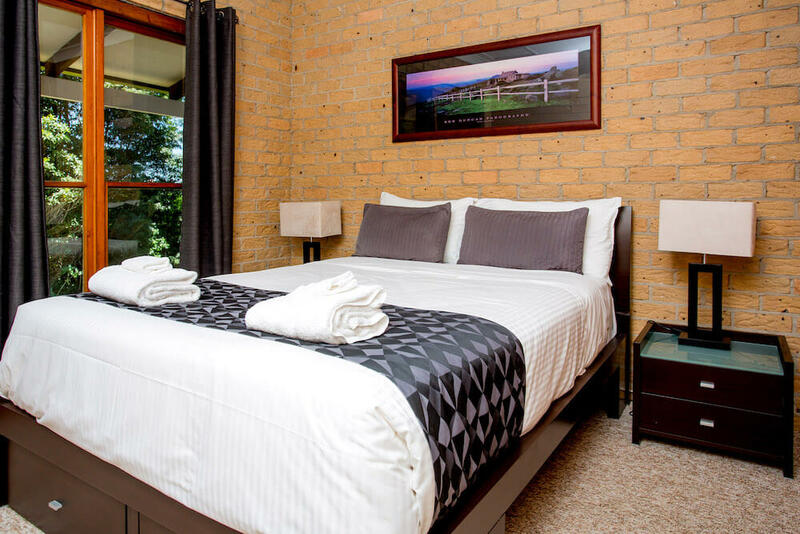 A Country escape with modern flair, Lookout Mountain Retreats is the perfect stay for a relaxing weekend, romantic getaway or family stay. 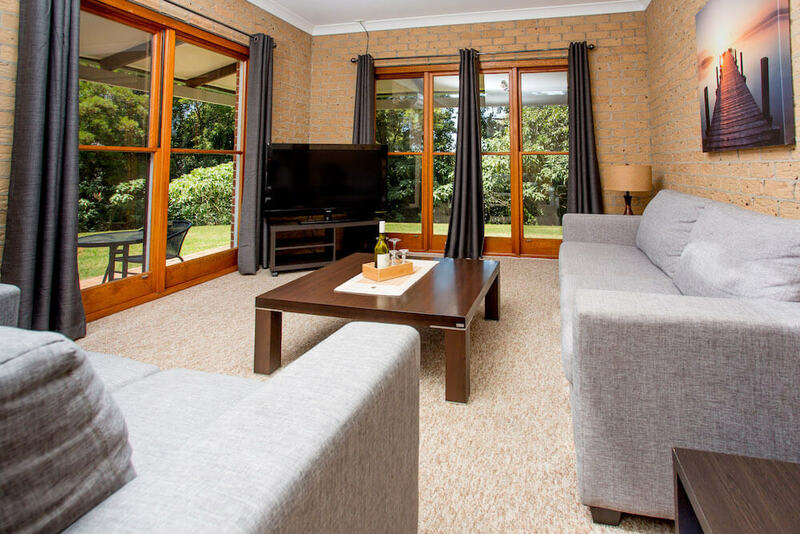 Explore Dorrigo’s world-class National Park and rainforest first-hand. 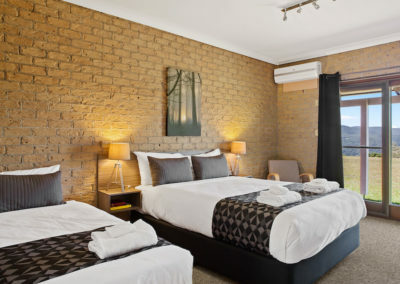 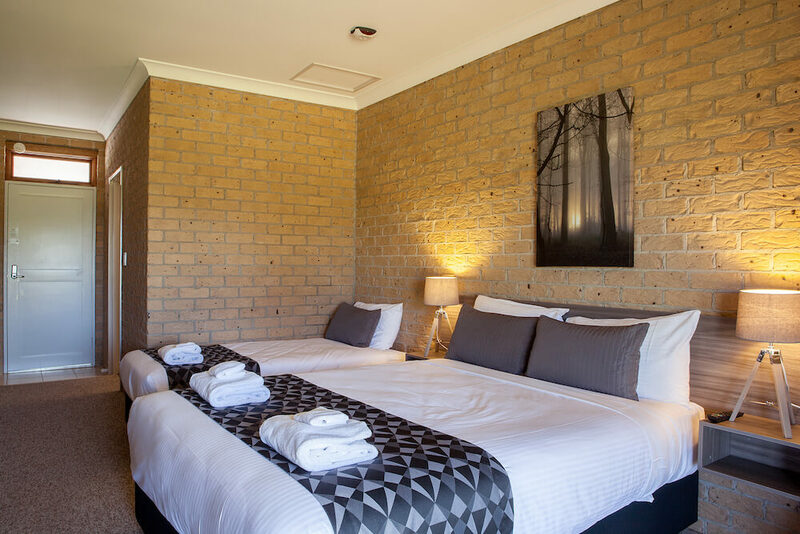 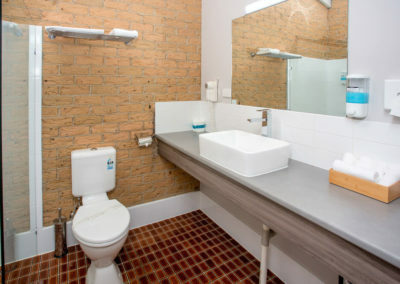 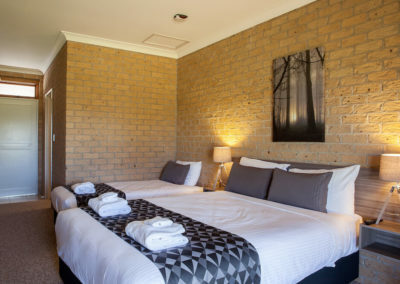 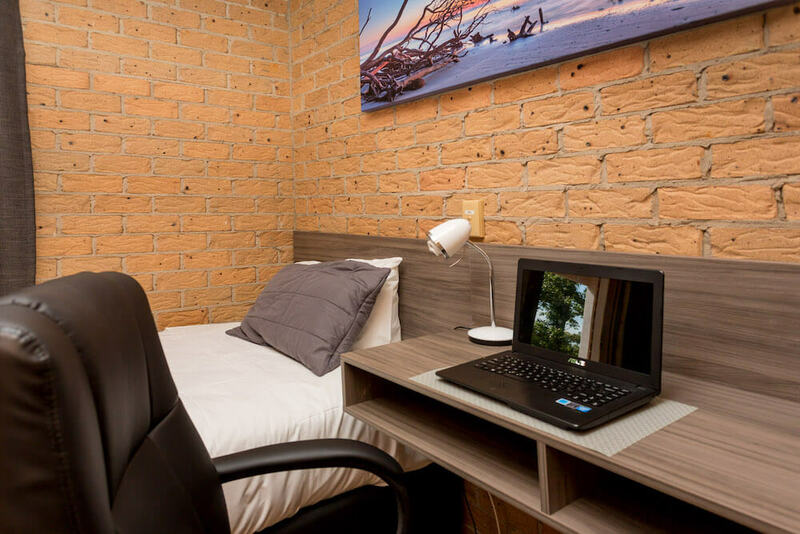 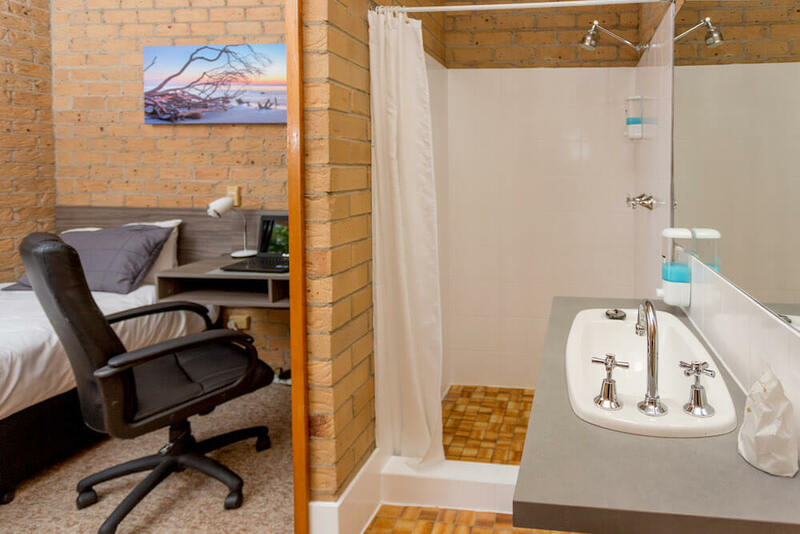 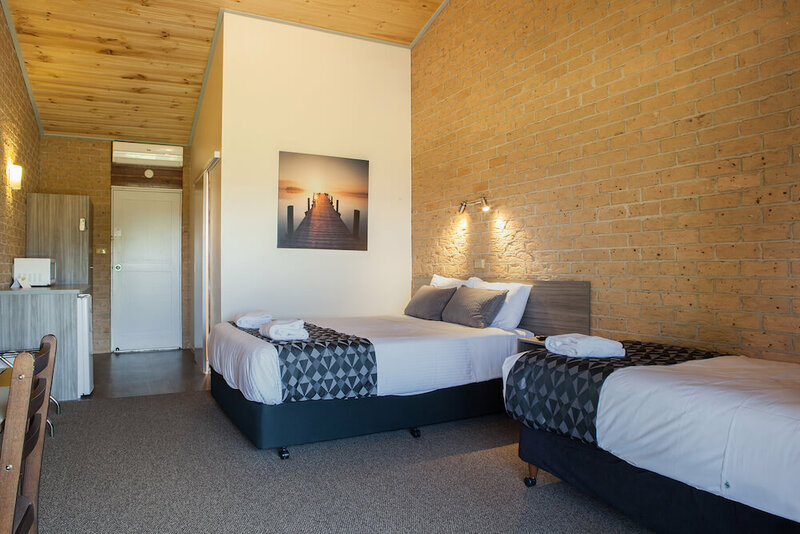 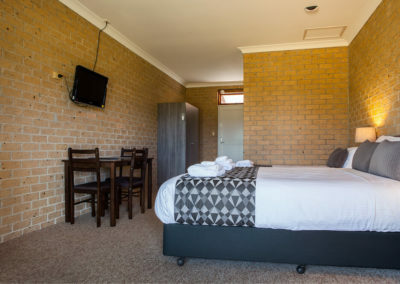 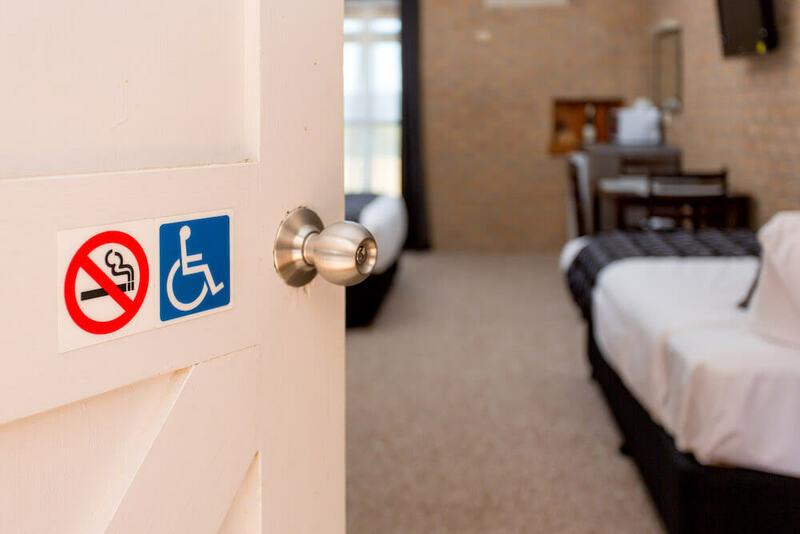 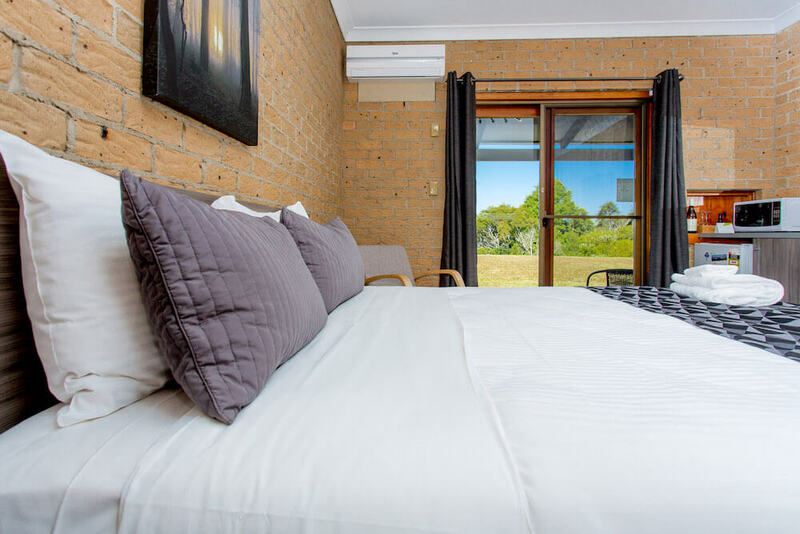 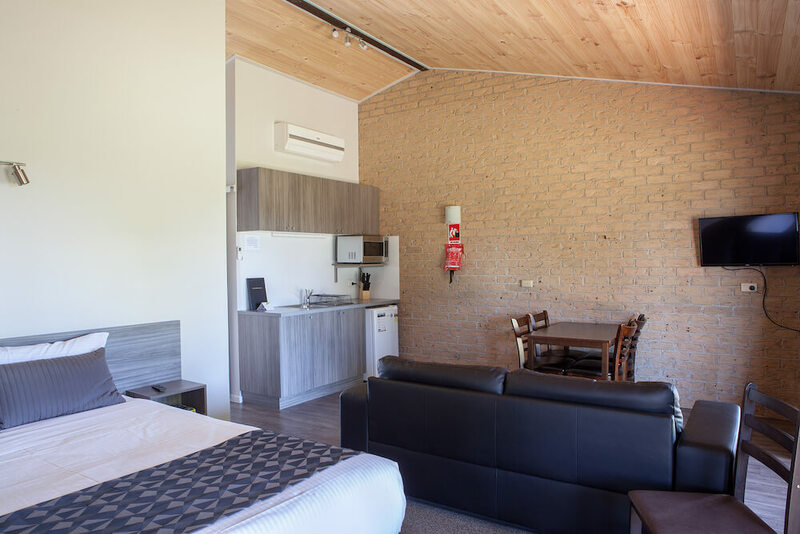 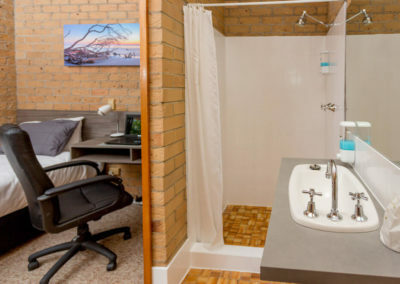 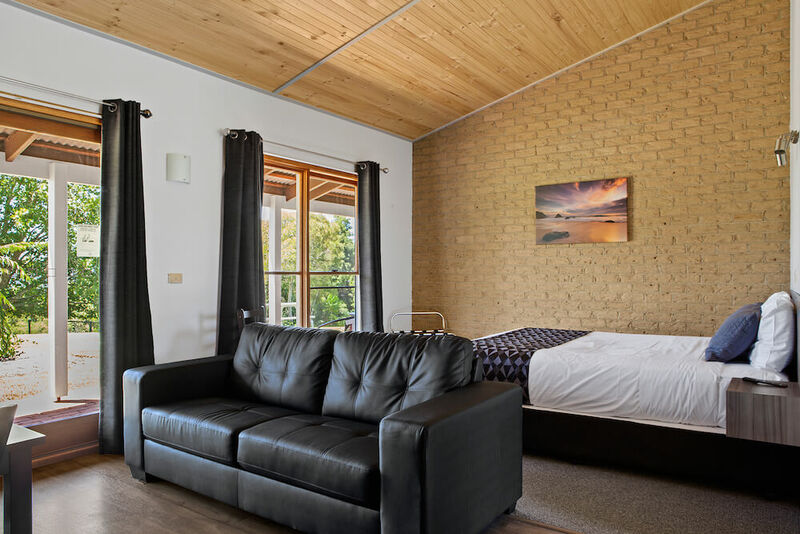 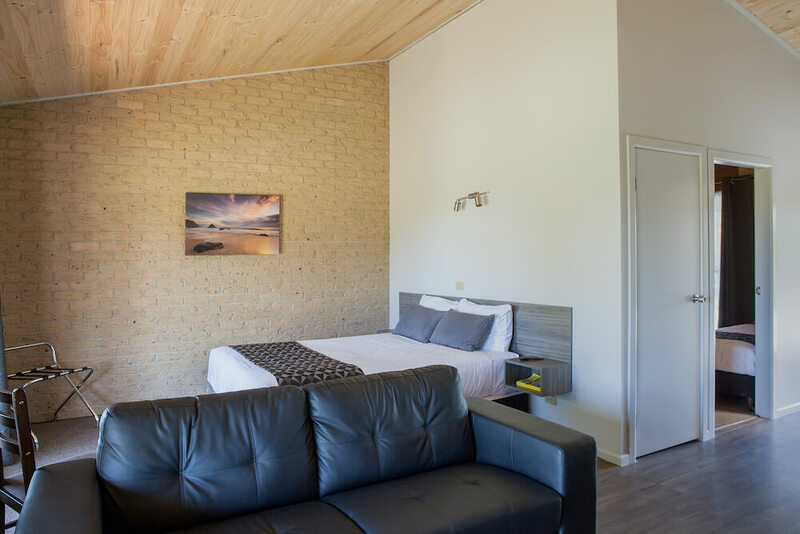 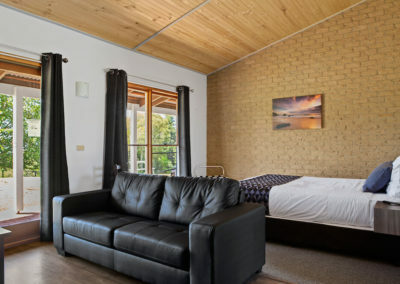 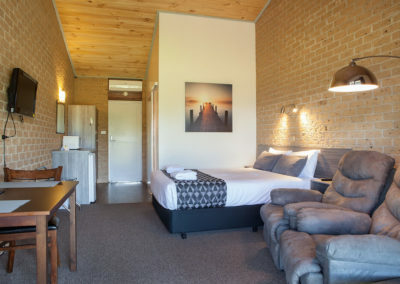 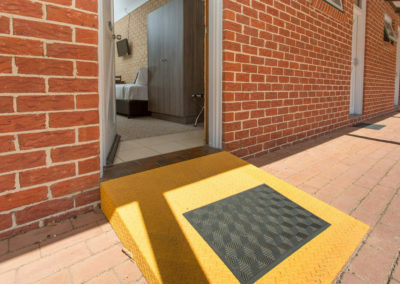 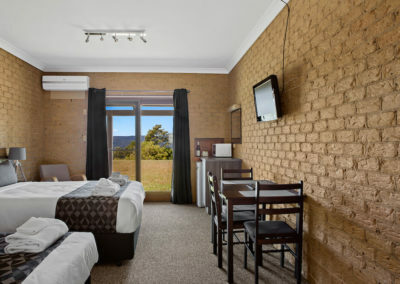 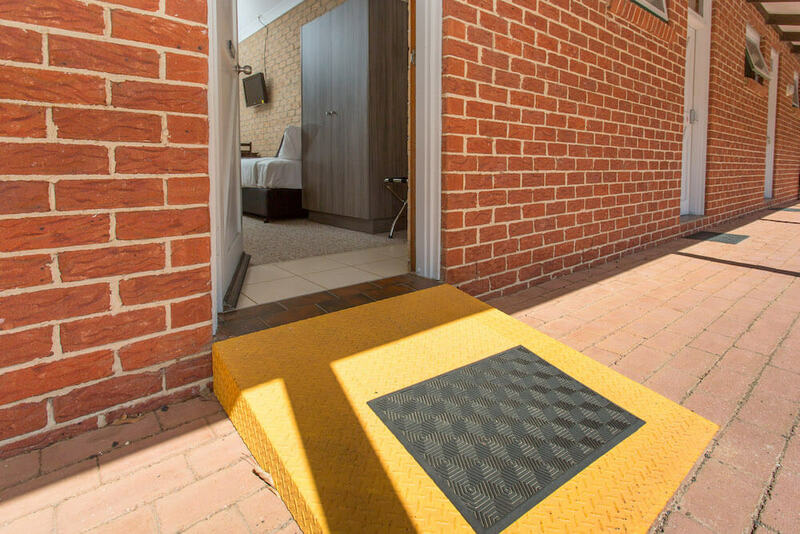 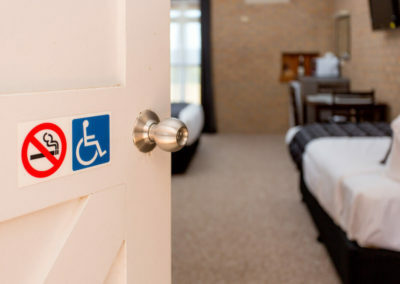 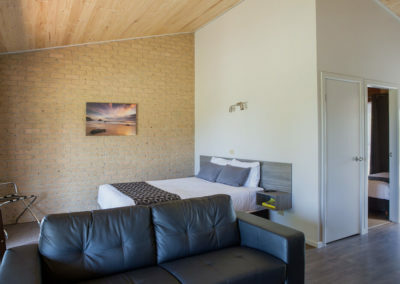 Refurbished to offer the ultimate in comfort and style but at an affordable price, our accommodation suites vary in lay-out and size to cater to all needs. The 26 well-appointed suites include Queen, family, triple share and executive suites, all featuring Queen-size beds. 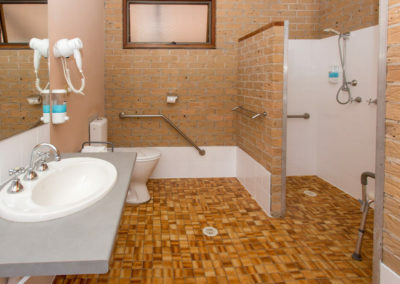 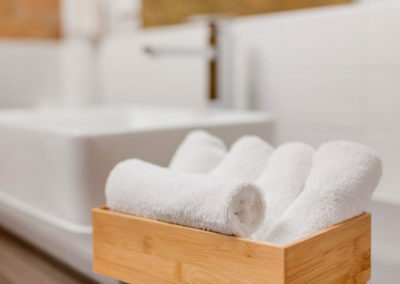 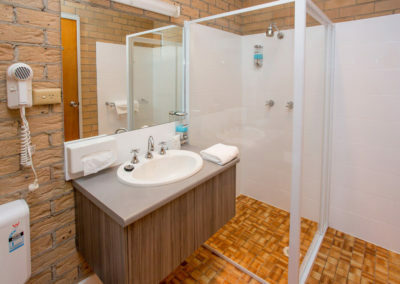 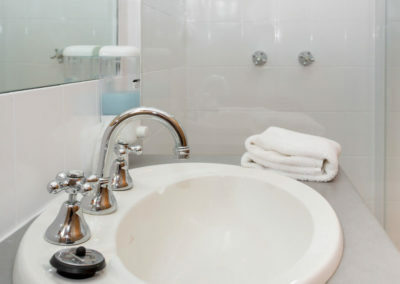 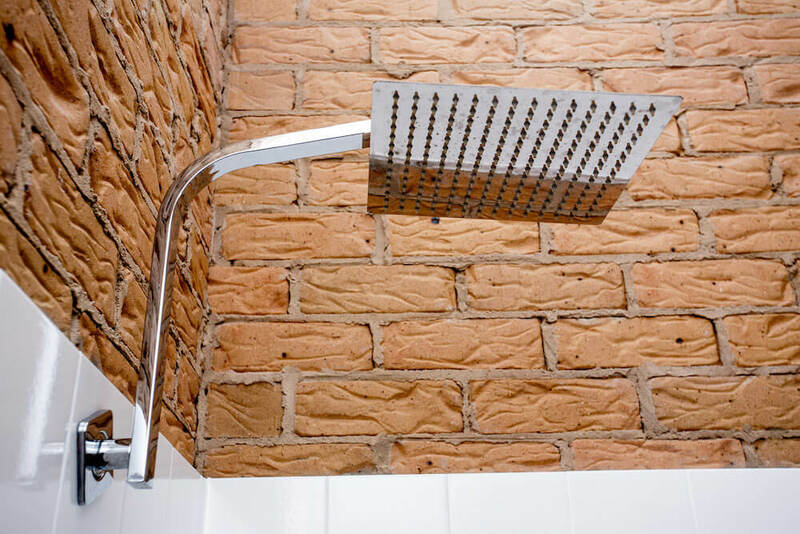 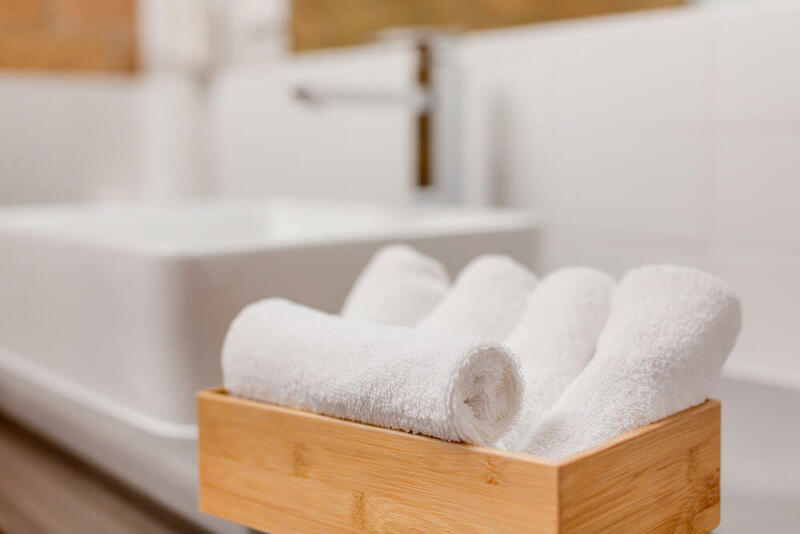 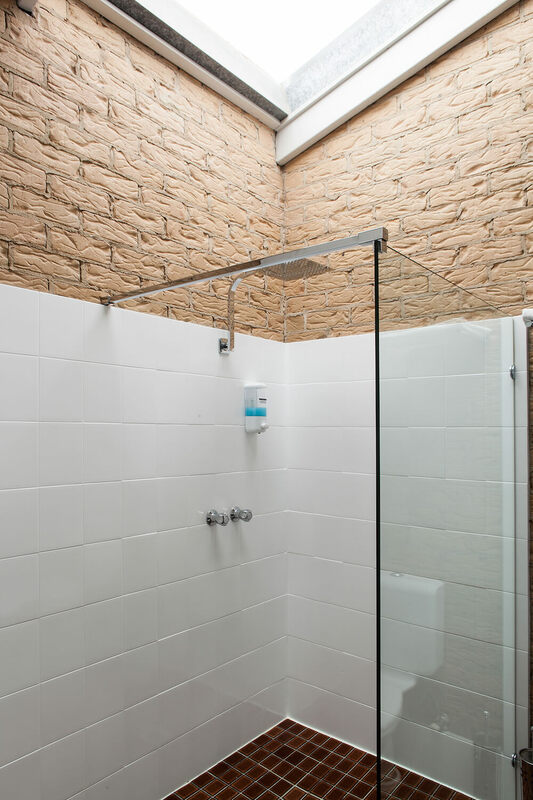 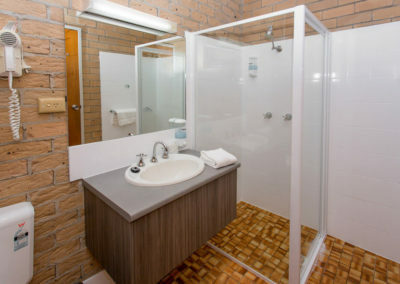 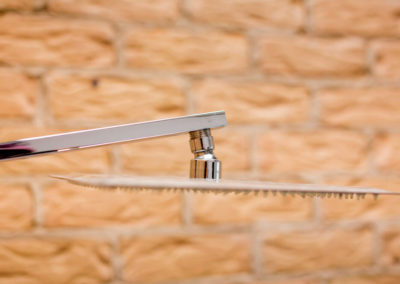 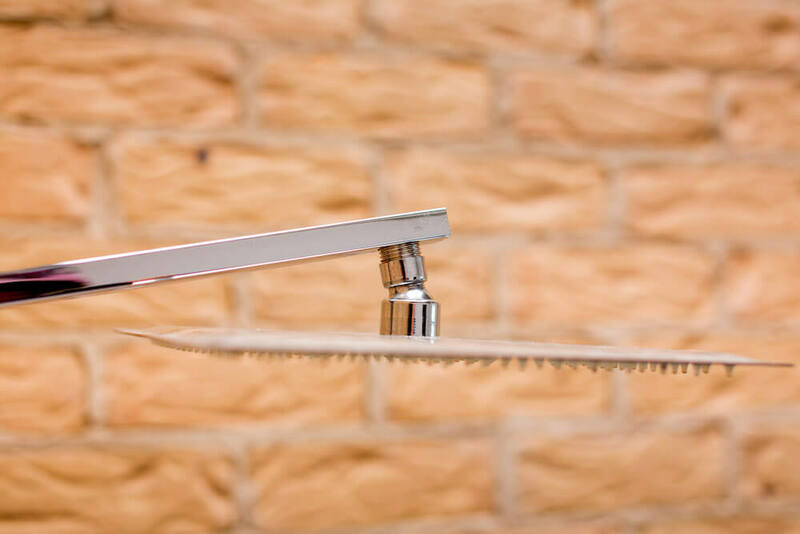 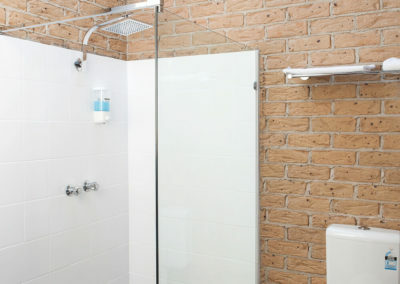 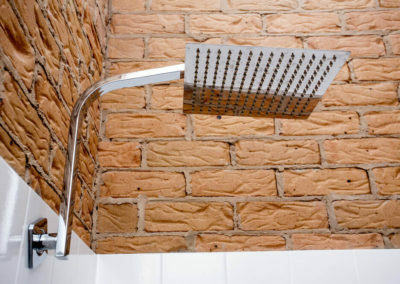 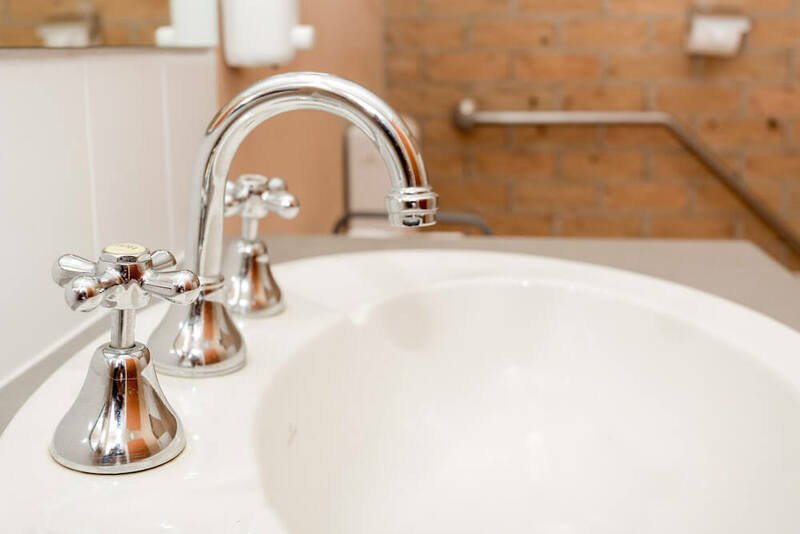 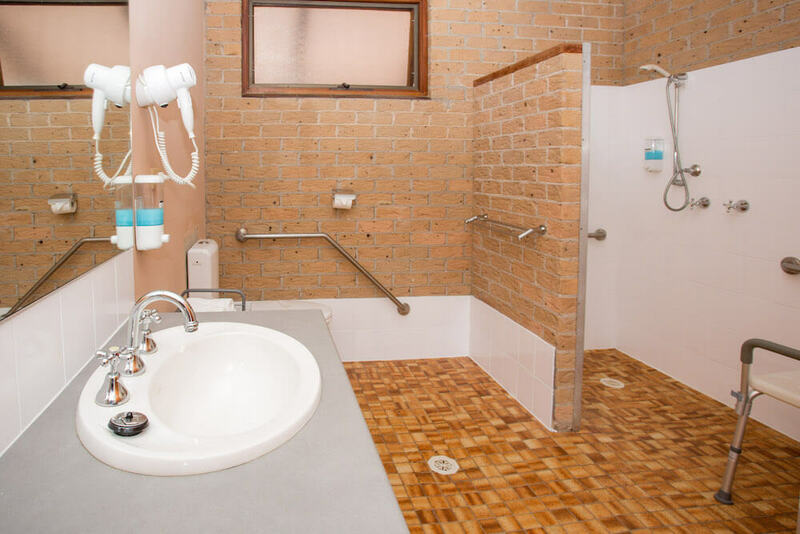 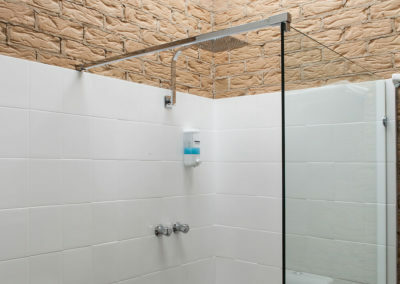 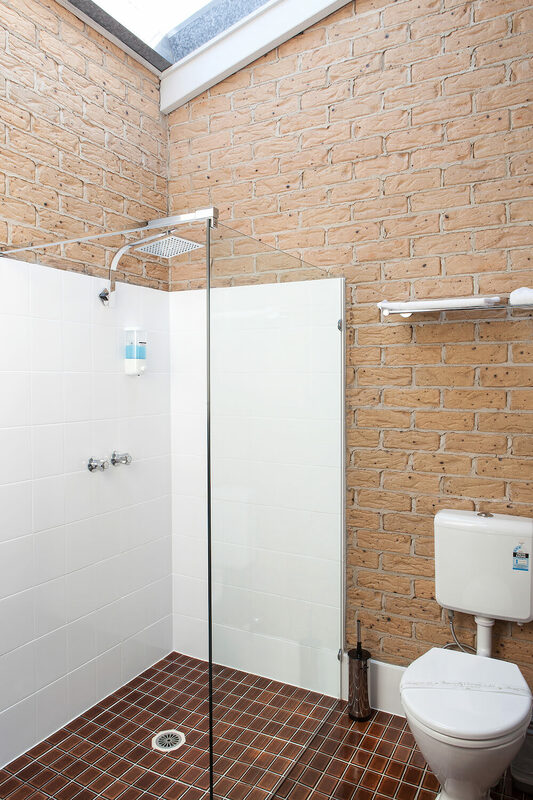 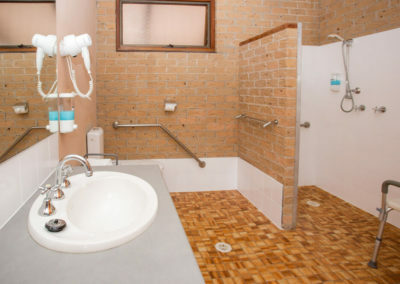 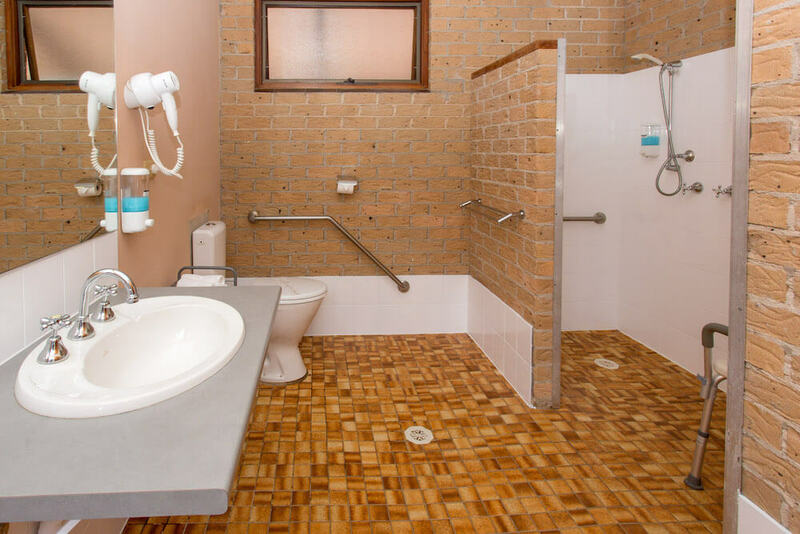 For a little extra luxury, the Superior suites have recently been updated with renovated bathrooms fitted with rain shower head and skylights, split system air conditioning and recliner chairs (in the queen suites). 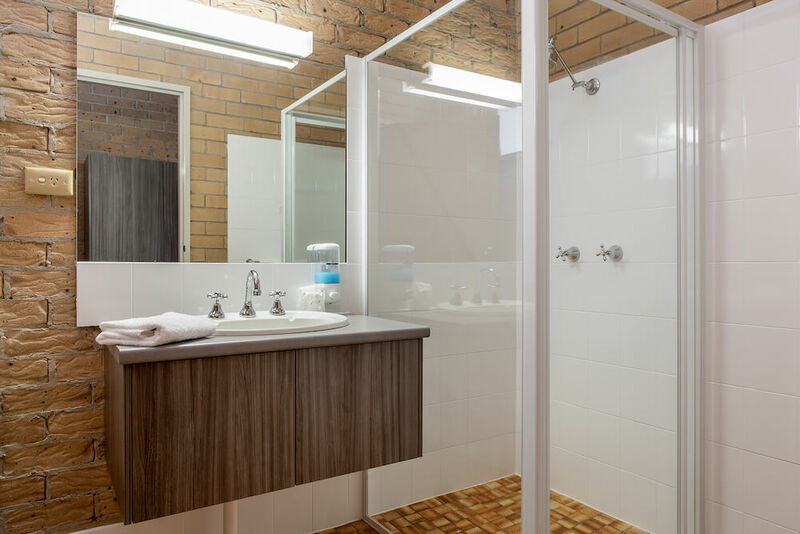 with tea and coffee and crockery and cutlery for light meal preparation. 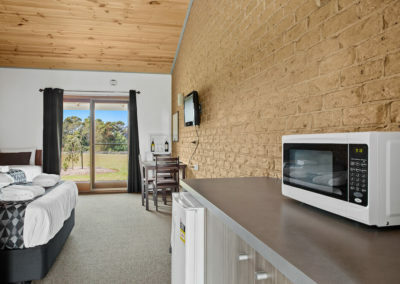 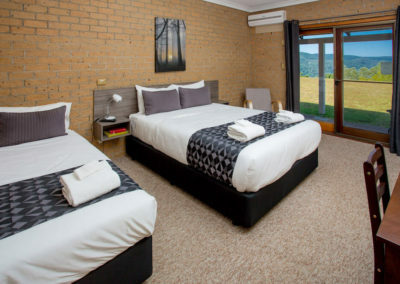 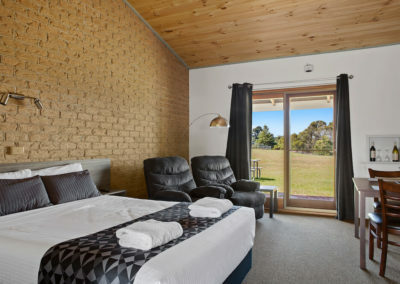 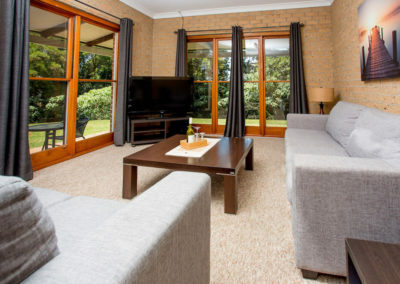 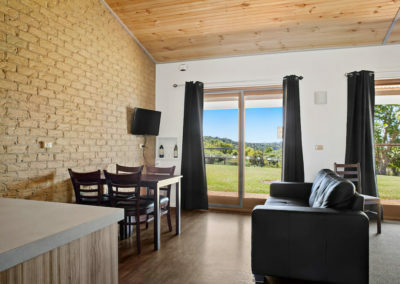 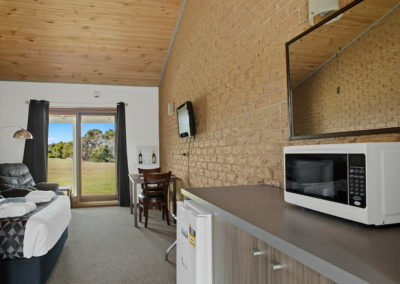 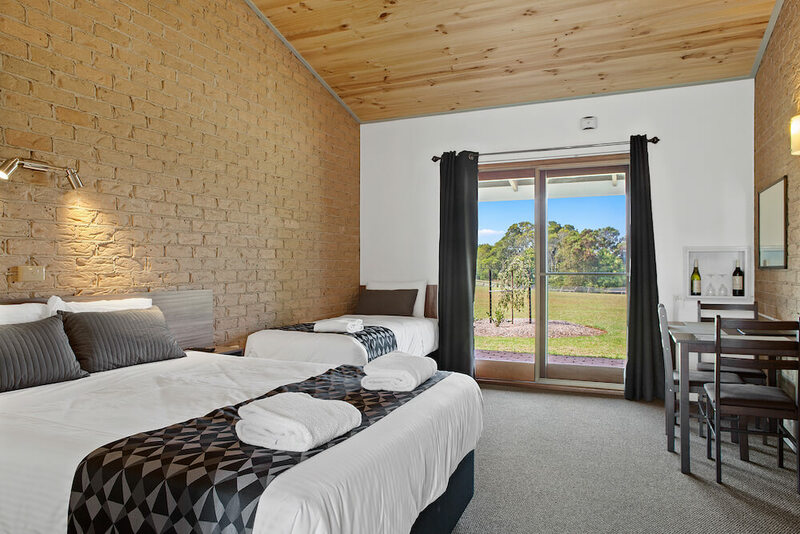 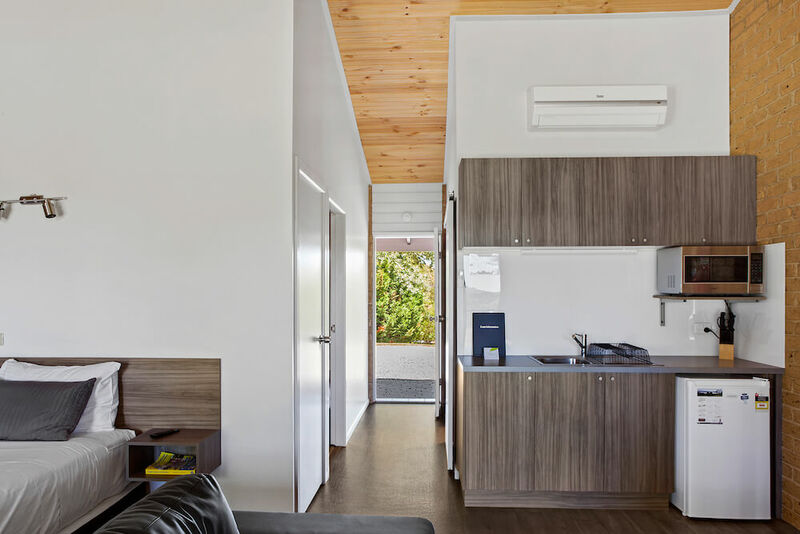 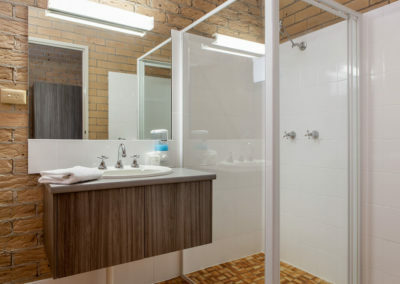 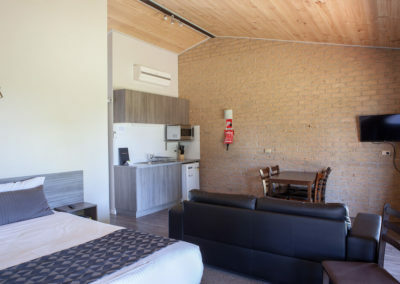 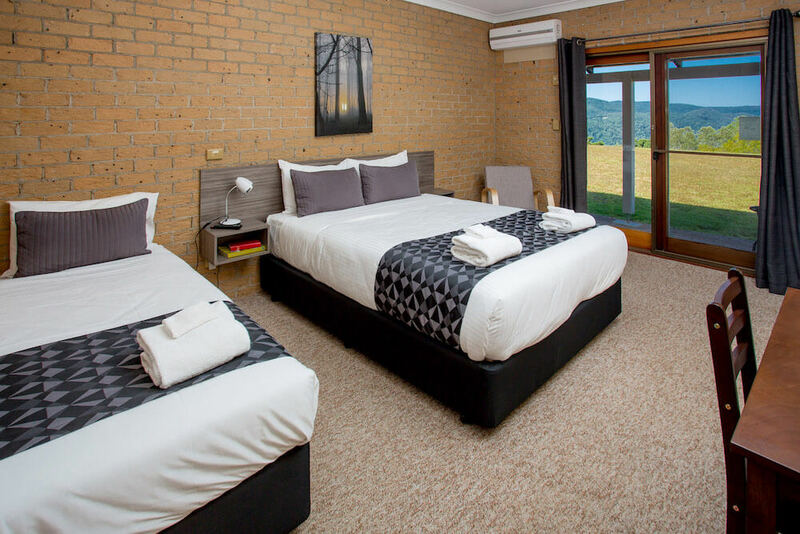 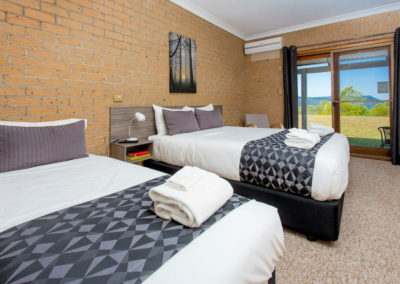 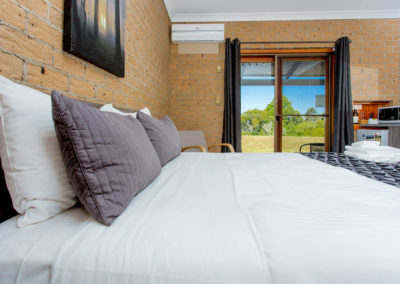 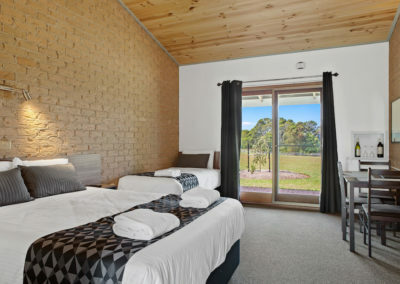 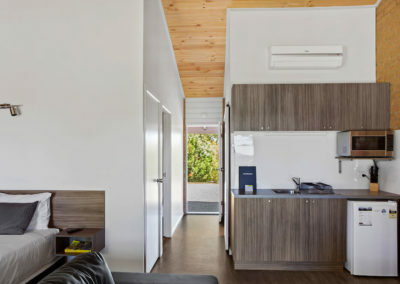 Family suites offer two bedrooms sleeping up four or five people and come with all of the above, as well as, open plan kitchenette, induction cooktop, electric frypan, convection microwave, saucepans, crockery and cutlery. 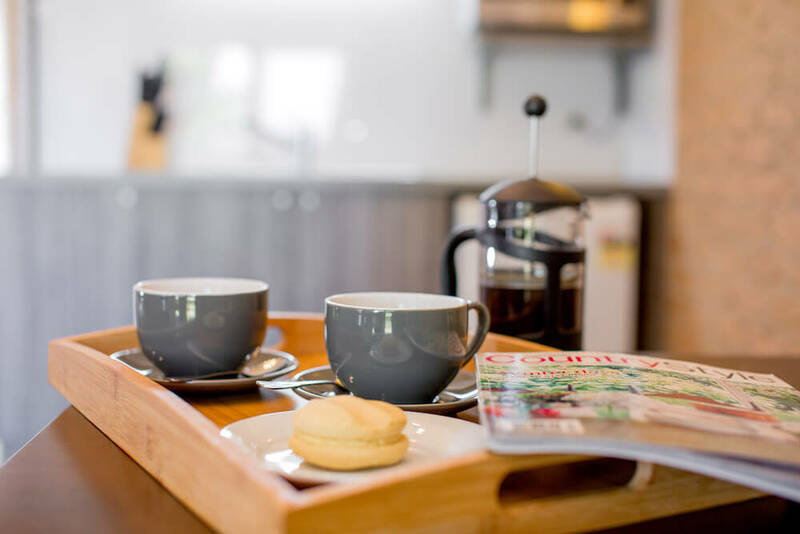 For your convenience, continental breakfast packs are available for purchase and room catering is provided on select days or, on weekends, you can dine on-site at the Waterfall Way café. 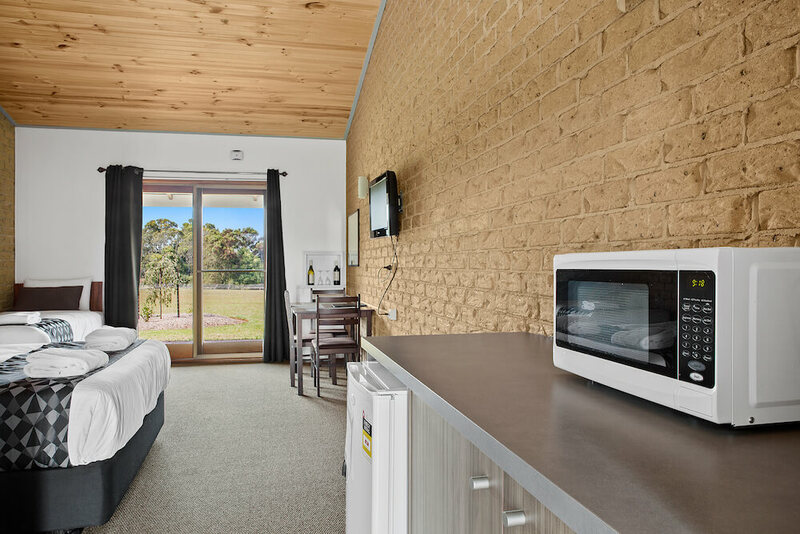 With a focus on fresh seasonal cuisine, most sourced from the flourishing on-site vege garden, the Waterfall Way Café is not just a highlight of the stay but a key attraction in the area. 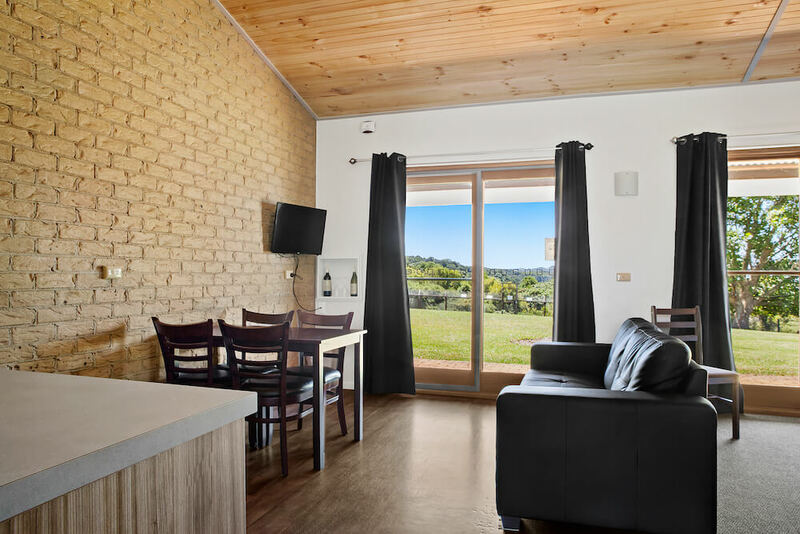 The huge stone fireplace and local Tallowwood beams and posts create a warm and cosy atmosphere for intimate dining, while the outdoor terrace area offers the opportunity to soak up the sun and the stunning garden surrounds and hinterland views. 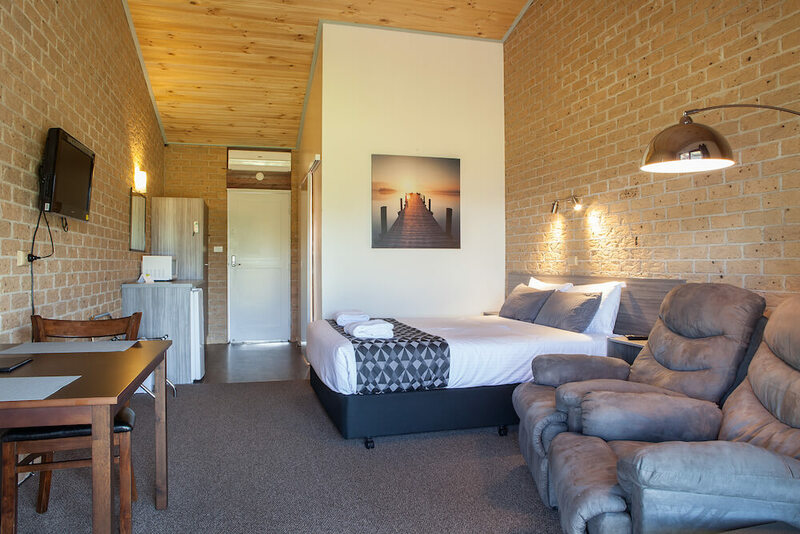 It’s also fully licensed and open Friday to Sunday, as well as Saturday evenings. Other onsite facilities include onsite parking for coaches, caravans and large vehicles, conference facilities with Wi-Fi, white board, projector and screen, guest laundry, extensive garden and lawn areas plus an onsite barbecue. 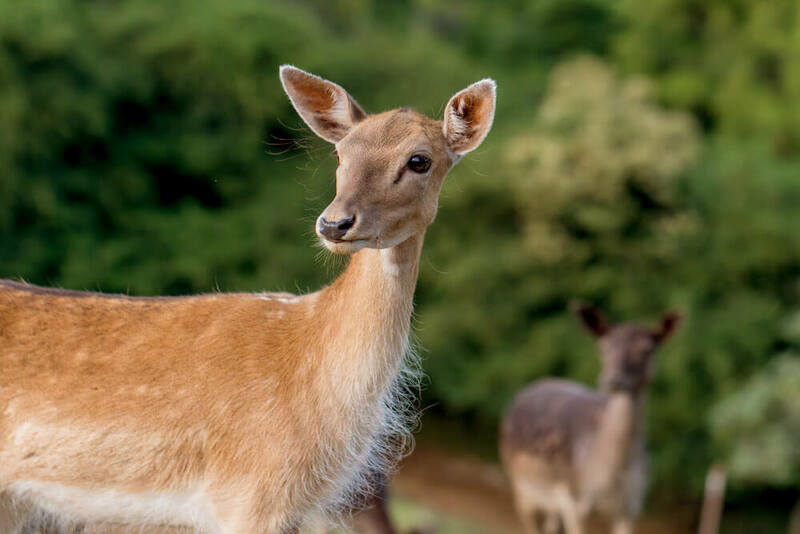 A family-favourite, especially for the kids, is our very own deer enclosure. 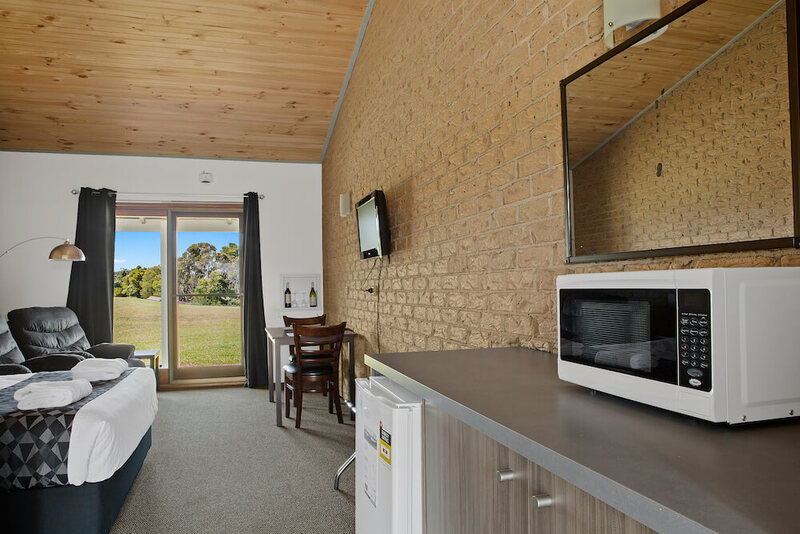 Guests can get up close to the deer and see how they enjoy the lush greens of the Dorrigo plateau and farm-life with us at Lookout Mountain Retreat.